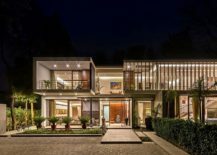 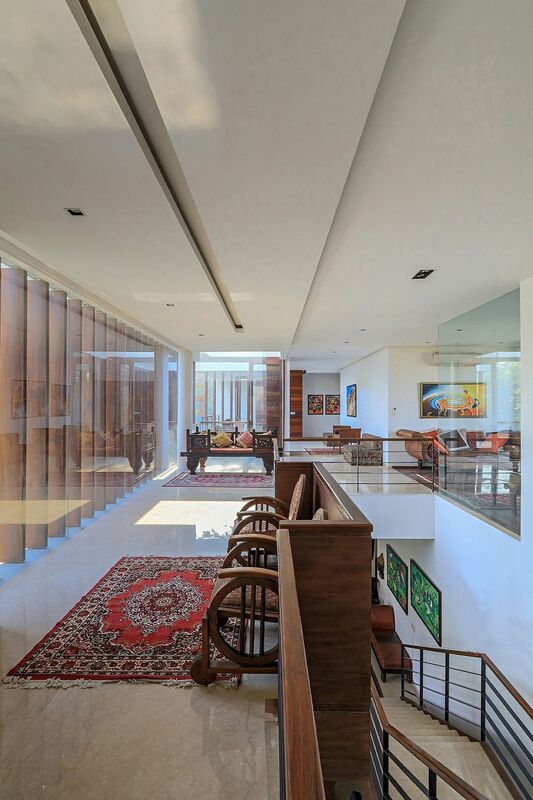 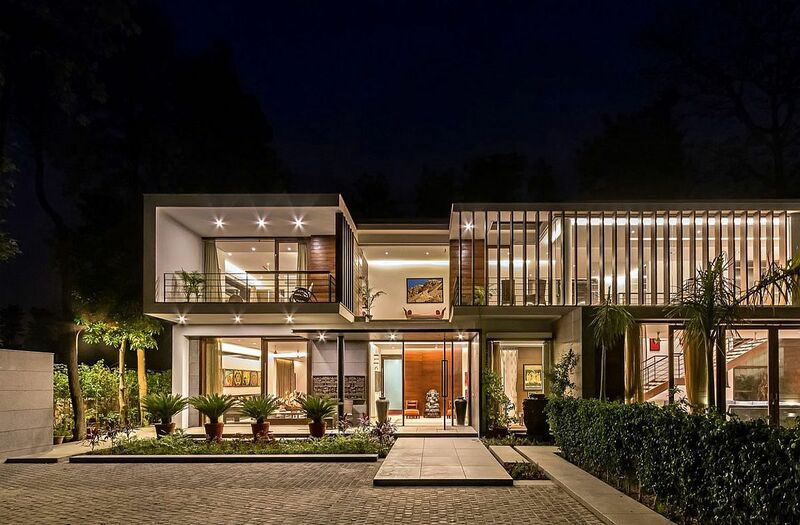 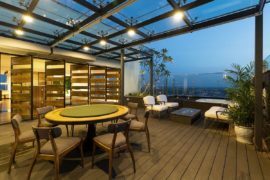 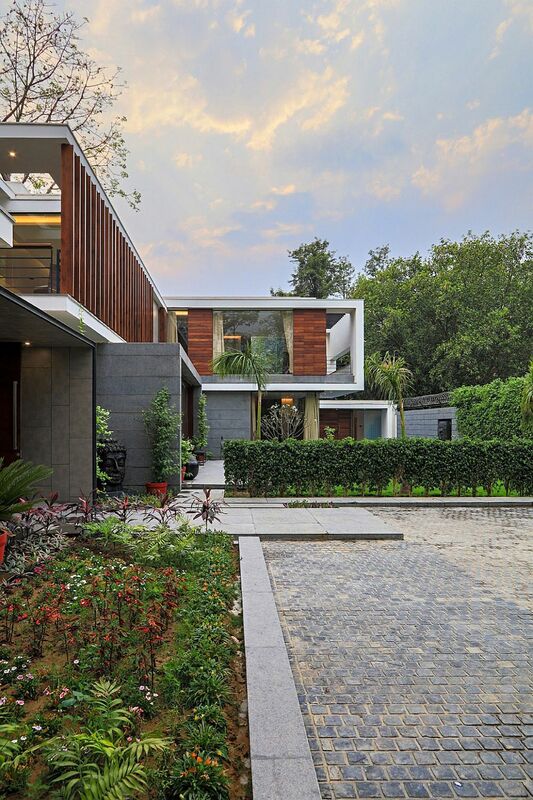 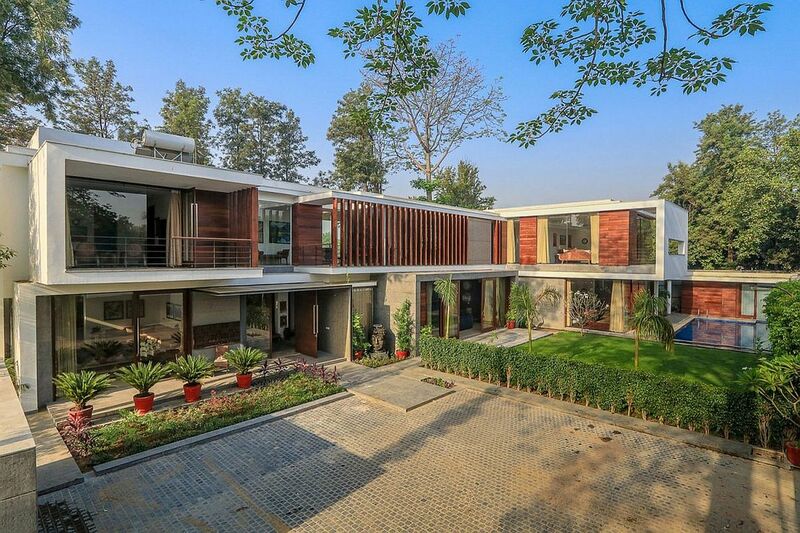 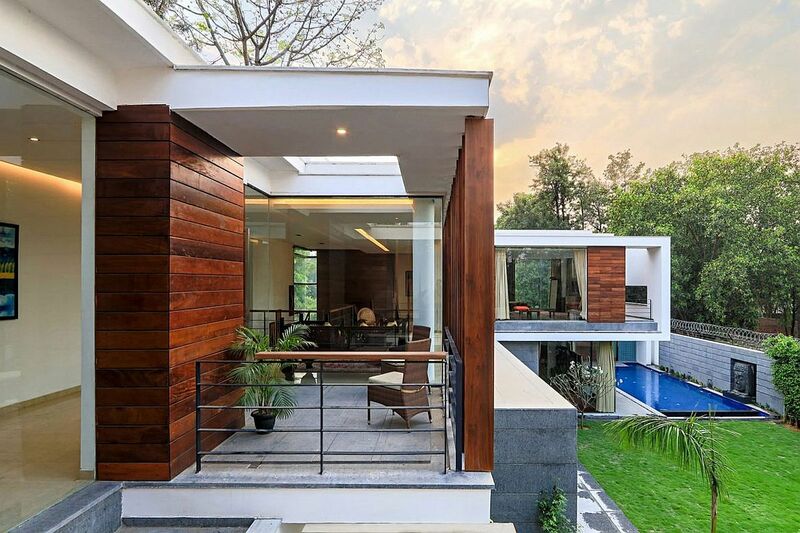 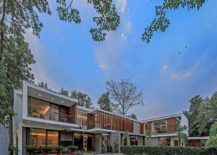 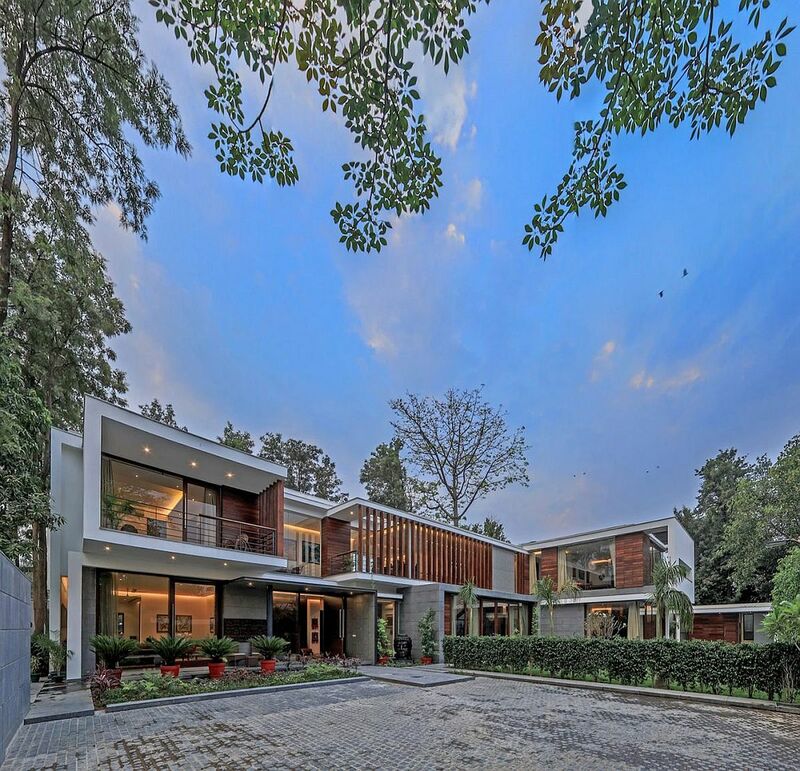 Creating a refined urban retreat that is surrounded by greenery in Chhatarpur, New Delhi, the Gallery House is all about open design, luxury and visual connectivity between the interior and the outdoors. 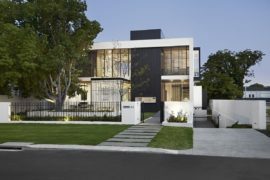 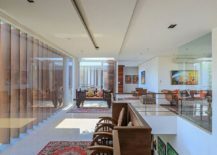 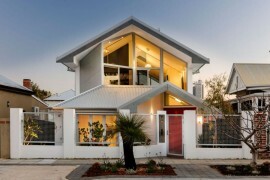 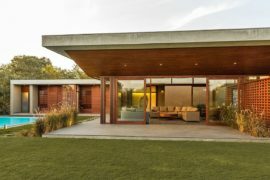 This expansive residence set on a lovely quarter-acre lot uses a variety of materials that give it a unique, yet curated appeal. 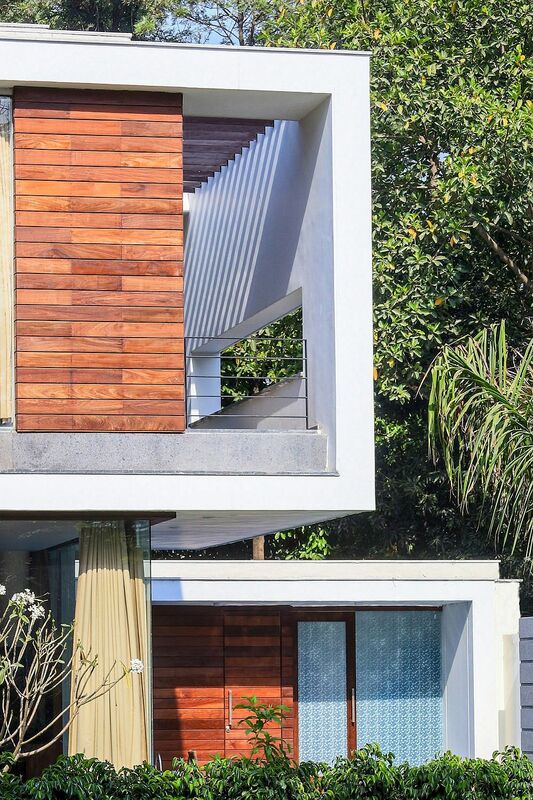 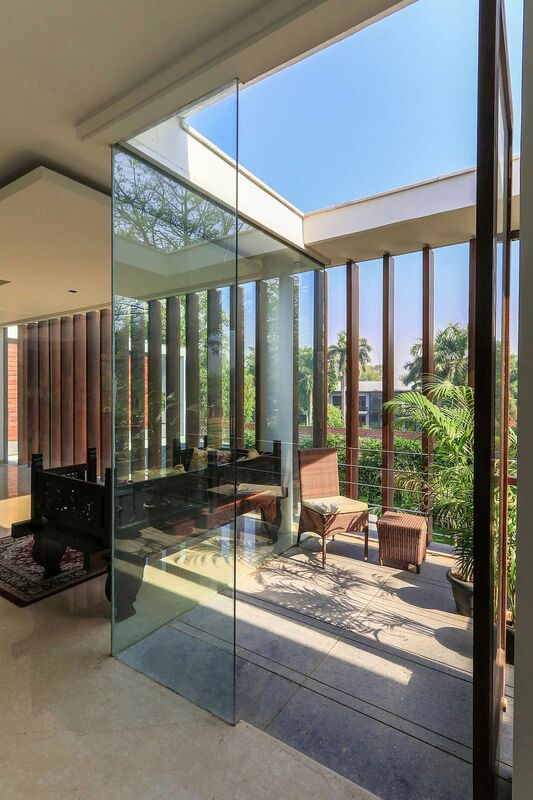 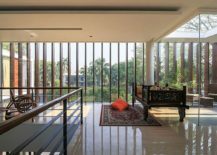 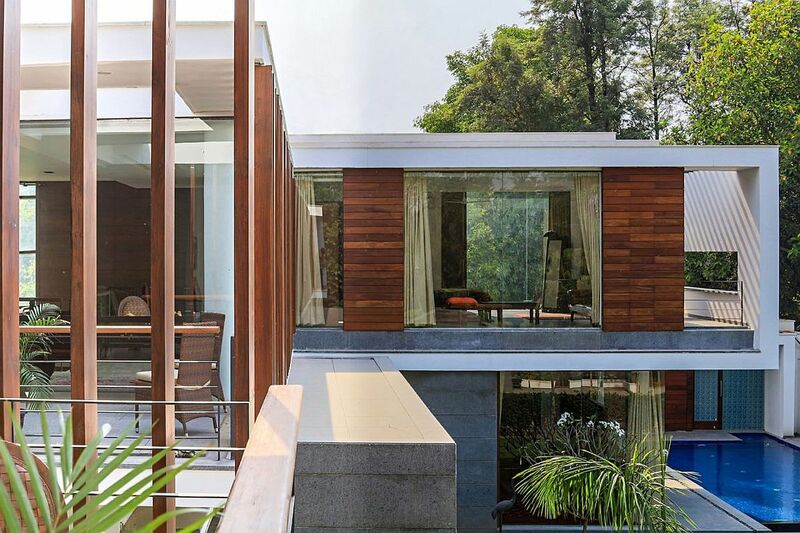 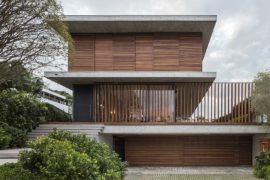 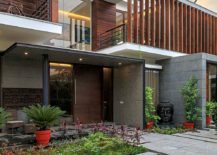 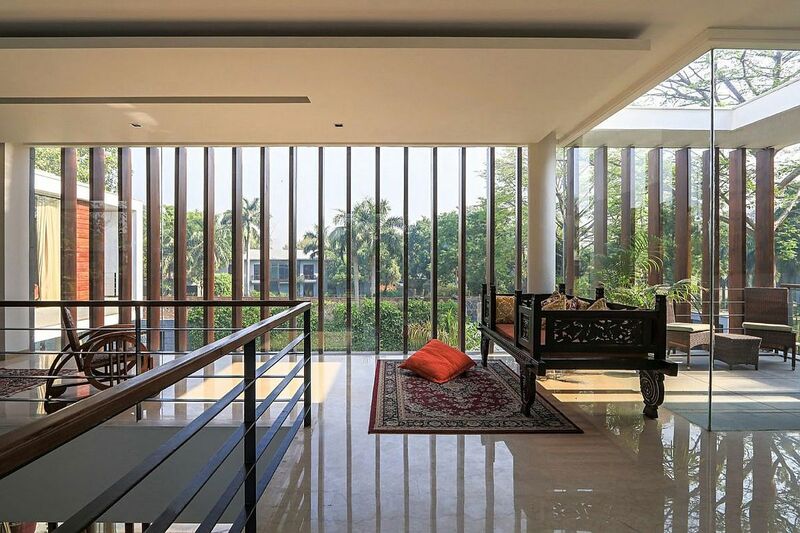 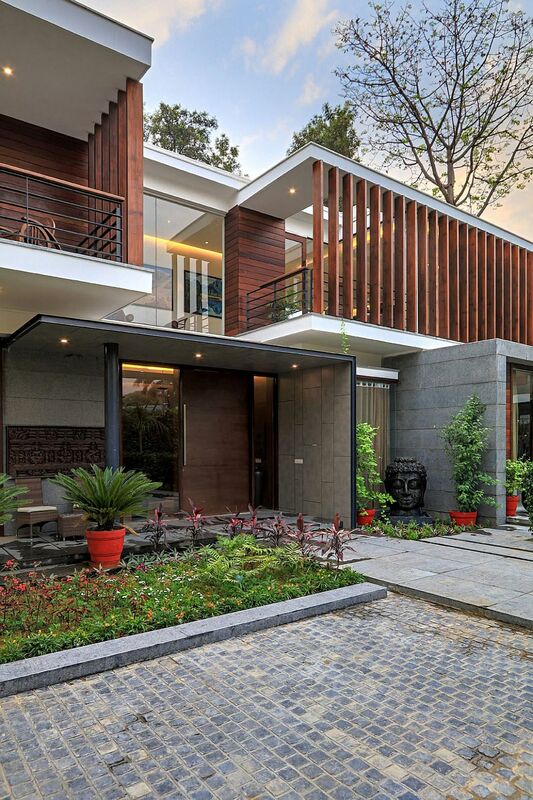 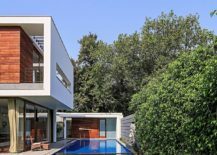 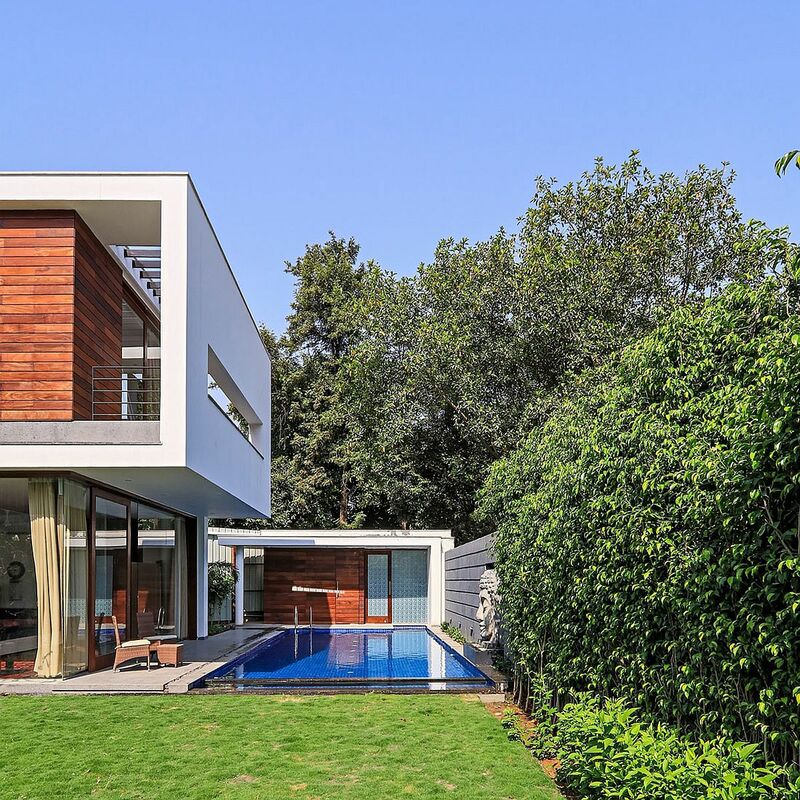 Steel-gray granite, white stucco, timber slats and wooden battens shape the distinct façade of this Indian home, along with the generous use of glass. 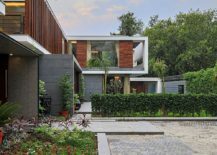 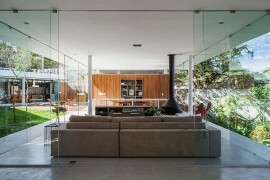 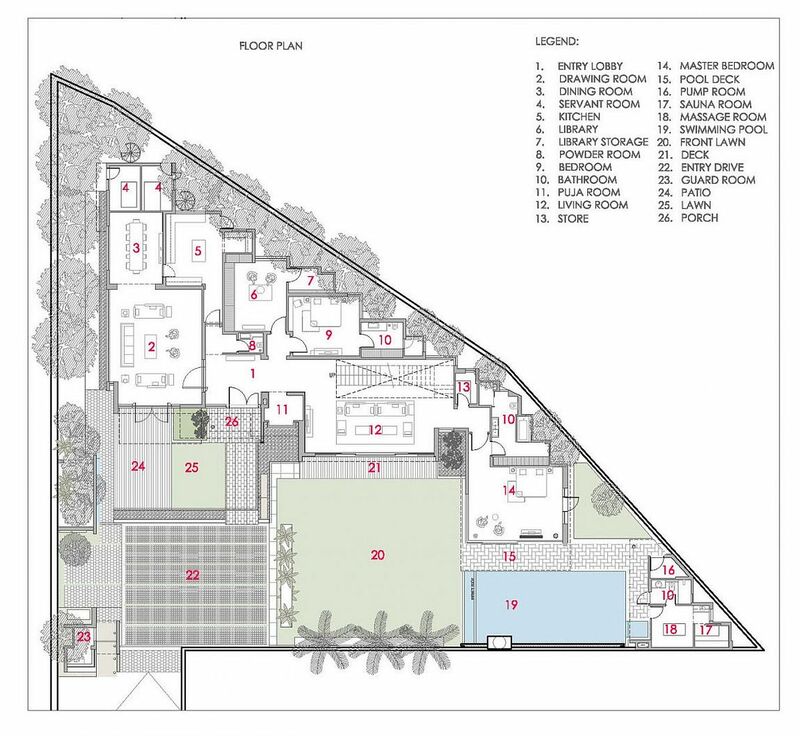 Completely opening up to the greenery that surrounds it, the overall form of the house mimics that of a multilevel gallery. 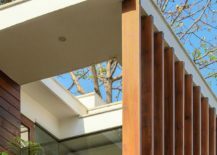 It is the creative folks from DADA & Partners that came up with a design that borrows from the aesthetics of a ‘gallery’, even while offering ample privacy and a smart interaction between the different public zones. 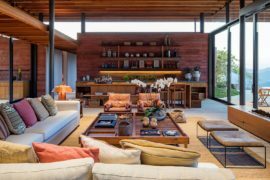 With a neutral color scheme and fabulous décor that adds color and pattern, there is a great balance here between native decorative elements and clean contemporary design. 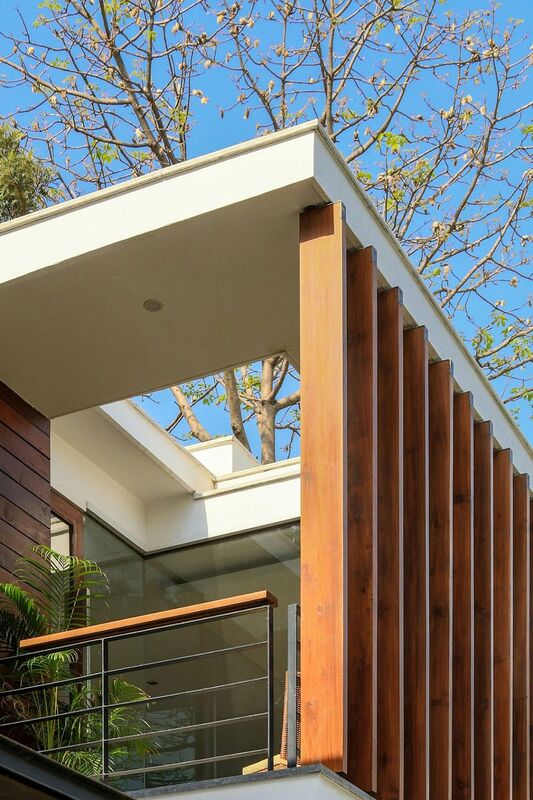 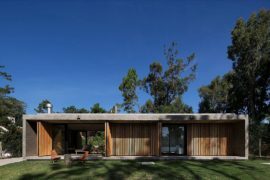 Seemingly both dramatic and understated, it is the hardwood battens that give the top level of the house its distinct identity, regulate ventilation, and provide an additional layer of privacy.